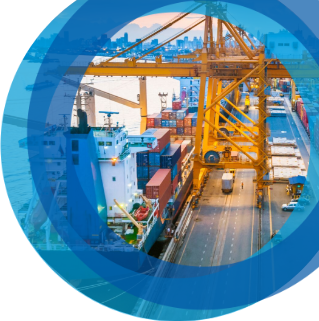 Whether you are a veteran importer or new to the sea freight game, you will certainly know that containers are the most common structure to transport goods through the sea. But when it comes to shipping there is no one-size-fits-all rule. There are a variety of vessels and cargo types, and they are divided into two main categories: general and bulk cargo. General cargo is unitized (carried in defined load units) while bulk cargo is loose (carried in any quantity). This article will guide you through the types of maritime vessels available and their uses, so read on to find out more! This is the most common mode of transportation for shipments. In fact, container ships transport an estimated 52% of all global ocean freight. The loading and unloading is done using gantry cranes which move the containers straight between the vessels and trucks, removing the need for warehousing and improving efficiency. It is important to note that similar to the ships, containers can vary in specification. Currently, there are more than 15 different types of containers with different sizes, materials and construction. Dry bulk carriers: Dry bulk carriers are designed to transport unpackaged bulk cargo such as grains, ore, cement, or ore.
Breakbulk cargo vessels: Breakbulk vessels carry different types of packed goods that need to be loaded individually. Examples include cement, sugar, palletised cargo paint, chemicals, timber or other manufactured goods. RO-RO or roll-on/roll-off vessels are ships designed to carry wheeled cargo, such as cars, buses, trucks and excavators. They come in different forms depending on the need and use ramps to enable loading and unloading. Multi-purpose vessels carry a combination of different types of cargo, and are very versatile – making them very popular vessels for cargo shipping. They were built for the carriage of a wide range of loads including steel, wood, construction materials, paper rolls, and other bulk cargo. Tankers are designed to transport liquids or gases in bulk. Major types of tankship include the oil tanker, the chemical tanker and gas carrier. Crude carriers are designed to transport crude oil to refineries where it can be processed. VLCC or Very Large Crude Carriers and ULCC or Ultra Large Crude Carriers are the largest operating cargo vessels in the world. Due to the size of these supertankers, many cannot dock at ports so cargo is unloaded at offshore pumping stations. LNG carriers are used for the carriage of Liquefied Natural Gas or Liquefied Petroleum Gas (LPG). The cargo is stored within spherical tanks under high pressure and often at low temperatures. This type of carrier requires special terminal and handling equipment. Reefer ships are refrigerated and transport commodities that are perishable such as meat, fish, fruit and vegetables, dairy products and other items that require temperature-controlled transportation. Heavy lift or Project Cargo Vessels are specialist vessels built to transport extremely heavy or bulky cargo including heavy industrial components and other vessels, such as yachts. ICE utilised a heavy lift vessel for a project in the Northern Territory. You can watch the video of this project here! General cargo vessels are the most basic dry cargo-carrying vessel; they are used to carry loose and irregular cargo which is not suitable for Container, Ro-Ro, Bulk or Specialist Heavy Lift Vessels. The cargo is secured to these vessels using custom fittings often welded to the ships hold. Should you want to know more or discuss what vessel most suits your needs, please get in contact on 1300 CARGO1 for a tailored consultation.